Android security is important. Duh. People stealing phones are bad. Etc. etc. etc. Want an easy way to protect your smartphone and evade people who know your PIN? I’ve got a creative solution for you. It’s called TimePIN. 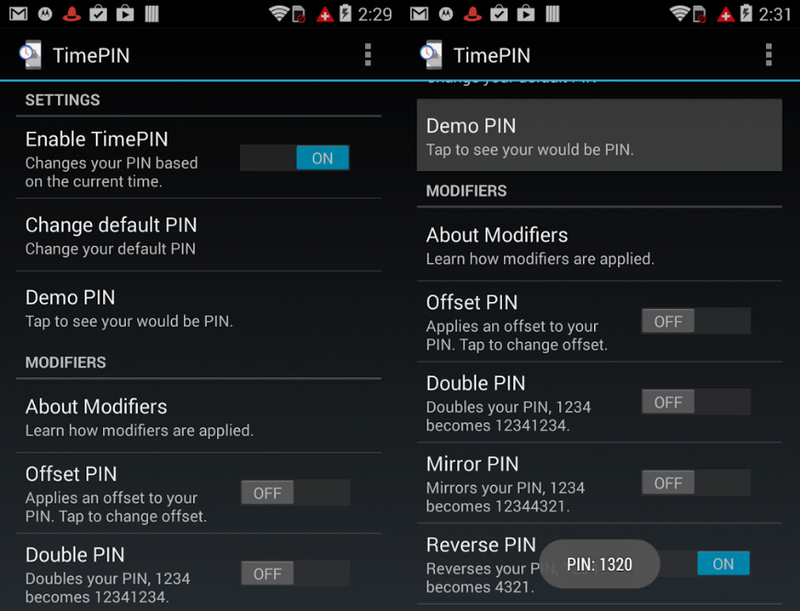 TimePIN is an Android security app that automatically changes your PIN every minute. Instead of having to memorize 60 different PINs, however, TimePIN simply changes your PIN to the current time of day. Ideally, other users won’t know that TimePIN is installed on your phone and won’t be able to guess your PIN: even if they see you type it in or look at your fingerprint smudges on your screen. And that’s really the major benefit of this app – since your PIN is always changing, you no longer really have to worry about hiding your screen or cleaning off smudges. Obviously, this app has a pretty major flaw at first glance. Once this app becomes popular, the current time is going to be the first password bad people try when they try to hack into your phone. The free version of TimePIN only includes the reverse option, while the additional features can be unlocked for a one-time payment of $1.99. 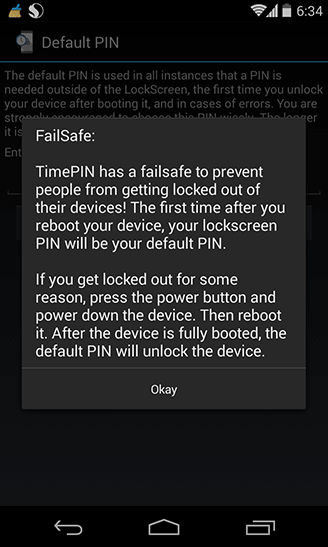 Another major security flaw is that you can disable TimePIN simply by restarting your Android. Restarting your Android takes it back to its original PIN entry mode, which isn’t great if your hacker knows your original PIN. So anyways, TimePIN isn’t going to completely lock down your phone, but it’s a cool gimmick to show your friends. Tell them your PIN, show yourself entering that PIN, and then ask your friends to try to get into your phone. Tell them your phone knows your voice or fingerprints or something and watch them lose their minds.